A GROUP of volunteers from Hanging Heaton Cricket Club completed a 12-mile walk to raise funds for a community defibrillator. 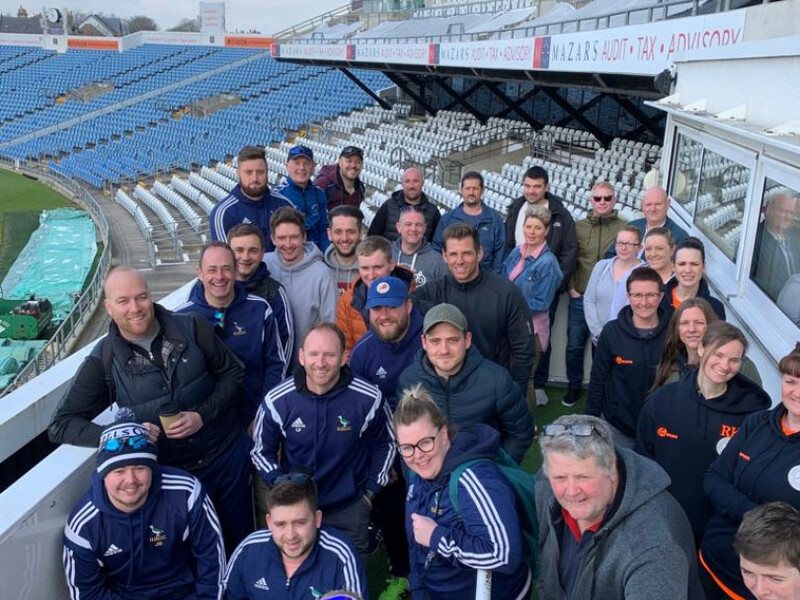 The 30 walkers journeyed from the world-famous Headingley Stadium in Leeds back to the Hanging Heaton club on Saturday – with the odd pub stop on the way. While an official total hasn’t been calculated, it’s thought the group raised over £4,000. Half of that will go towards getting the life-saving machine fitted at the club on Bennett Lane, with the rest being used to refurbish the changing rooms. Club chairman John Carruthers, who took part in the walk, said: “It was the brainchild of James Byrne, James Richardson and Charlotte Byrne, who are long-standing members of the club. “The original idea was that the funding would go towards a defibrillator for general use. “We’ve got various sections, of which one is a bowling section where the age range is quite high – and we thought it appropriate to have a defibrillator. “Because our junior section has developed dramatically we’ve got numerous young girls and other age groups so we’re revamping the changing room facilities which is well overdue. “We set off from Headingley at around 10am and we got back to the club at around four o’clock – and that included the essential refreshment breaks! The club is still taking donations, and you can donate online via www.gofundme.com/headingley-to-hanging-heaton.